Home » Assets of Pharmacovigilance, Its Necessity and Future in INDIA in coming five years. Assets of Pharmacovigilance, Its Necessity and Future in INDIA in coming five years. 2. Gauhati Medical College and Hospital (GMCH), Department of Pharmacology, Prof and Head; Chief academic co-ordinator, NIPER-Ghy. Literature:Periodic safety update reports (PSUR)and Medical Dictionary for Regulatory Activities (MedDRA)are two important assets for maintenance of Drug safety Pharmacovigilancesystem as they are designed to represent the safety data on a particular drug from all the sources and geographical regions in the worldand to understand internationally, accepted clinically validated medical terminology for medical coding respectively. Finding:Indian market has mostly seen the launch of only those products that have been already approved and marketed in the regulated markets of USA, Europe, Japan or other countries. For assessing the benefit-risk profile of a drug and to take appropriate corrective actions, the Indian pharmaceutical companies as well as the regulators have been depending on the experiences gained from these markets where the drug was being used for several years before introduction in India, thus bypassing the requirement to establish a strong Pharmacovigilance system of their own. 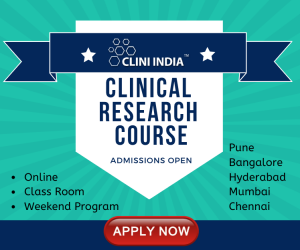 Key message: India is becoming a major hub for clinical research activities due to its large population and well-defined endogamous subpopulations,high enrollment rates and low costs. 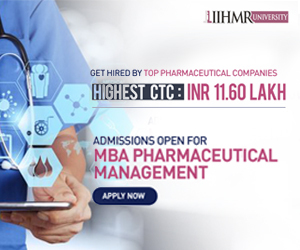 Moreover, with more than 300 medical colleges, 230 dental colleges, 830 pharmacy colleges and 657 recognized nursing colleges, there is a great opportunity for India to tap the potential human resources required for an effective Pharmacovigilance system. Why Pharmacovigilance system in INDIA is on Growth? The Pharmaceutical industry in India is valued at Rs. 90,000 Crore and is growing at the rate of 12 – 14 % per annum. Exports are growing at 25 % Compound Annual Growth Rate (CAGR) every year. The total export of Pharma products is to the extent of Rs. 40,000 Crore. India is now being recognized as the ‘Global pharmacy of Generic Drugs’ & has distinction of providing generic quality drugs at affordable cost. India is also emerging rapidly as a hub of Global Clinical trials & a destination for Drug Discovery & Development. Further, more & more new drugs are being introduced into the country which include New Chemical Entities (NCE), high tech pharma products, vaccines as well as new dosage forms, new routes of drug administrations and new therapeutic claims of existing drugs. This is reflected in the fact that total numbers of applications received and processed have more than doubled from around 10,000 in the Year 2005 to 22,806 in Year 2009 at CDSCO, HQ, New Delhi. This includes increase in New Drug Applications, Global Clinical Trials, Market Authorization of Vaccine & Biotech products from 1200,100, 10 in Year 2005 to 1753, 262 & 137 in the Year 2009 respectively. Such rapid induction of NCEs and high tech Pharma products in the market throw up the challenges of monitoring Adverse Drug Reactions (ADRs) over large population base. All medicines (pharmaceuticals and vaccines) have side effects. Some of these side effects are known, while many are still unknown even though that medicine has been in clinical use for several years. It is important to monitor both the known and hitherto unknown side effects of medicines in order to determine any new information available in relation to their safety profile. In a vast country like India with a population of over 1.2 Billion with vast ethnic variability, different disease prevalence patterns, practice of different systems of medicines, different socioeconomic status, it is important to have a standardized and robust Pharmacovigilance and drug safety monitoring programme for the nation. Collecting this information in a systematic manner and analyzing the data to reach a meaningful conclusion on the continued use of these medicines is the rationale to institute this program for India. Since, there are considerable social and economic consequences of ADRs there is a need to engage health-care professionals, in a well structured programme to build synergies for monitoring ADRs. The purpose of the Pharmacovigilance Program of India is to collect, collate and analyze data to arrive at an inference to recommend regulatory interventions, besides communicating risks to healthcare professionals and the public. Can you please give the information regarding how to publish the articles in Pharma Tutor.